As culturally significant as they are practical, the Royal Mail post box is a cherished feature of our streets. With over 85,000 boxes across England, it is likely you pass one every day. The post box connects remote villages to densely populated cities across the UK. Some of the oldest post boxes were already listed, but in recognition of how important all boxes are to our national historic image, Royal Mail and Historic England have renewed their commitment to retain every box. The story of these iconic British beacons begins in the Channel Islands, via Europe. The 1840 Postal Reform act introduced affordable postage and easy-to-use adhesive stamps. Yet the nearest letter-receiving office was miles away from many communities. It took Anthony Trollope (the Victorian author, then a General Post Office official) to notice that in Europe, locked cast-iron pillar boxes were placed in convenient locations with regular collection times. Trollope first introduced this efficient scheme to the Channel Islands in 1852, and pillar boxes emerged on the mainland the following year. By 1860, over 2,000 ‘standard’ design roadside boxes were established: by the 1890s, this had increased to 33,500. Boxes from wall to pillar and lamp-shaped designs have found their way into our daily existence, but all share two obvious features. Firstly their colour: many of the UK’s earliest boxes were painted green to blend in with the landscape, but were repainted the famous ‘pillar box red’ by 1884 to increase visibility. Their second shared feature is their insignia, or marking, of the monarch reigning when the box was placed. More than half of all British boxes carry Elizabeth II’s ‘EIIR’ stamp and Scottish crown, but around 15% date from the reign of George V (1910-1936) and a number survive from the reigns of George VI, Edward VII and Victoria. If you’re really lucky, your local post box could be one of the 168 identified as dating from Edward VIII’s very short reign in 1936. The Letter Box Study Group has identified around 800 different types of post box, all adapted for different environments. 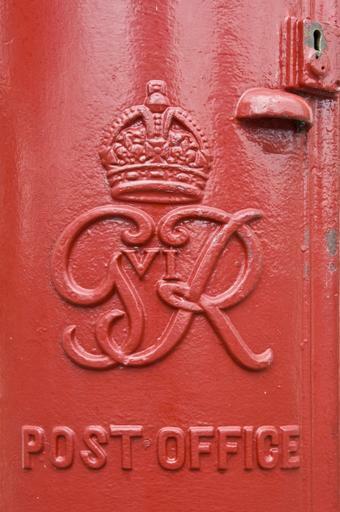 Small lamp-post boxes were introduced in 1896 for use in London squares and rural locations; oval boxes with two letter slots emerged in larger towns and cities, and enamel-fronted boxes were inserted into the walls of Post Offices. In the last 160-odd years, around two dozen contractors have been hired as post box designers. 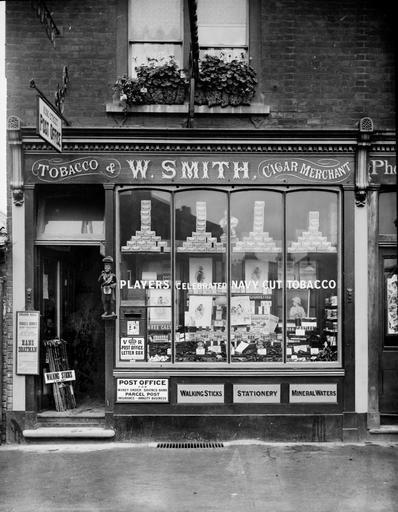 The results – from J W Penfold’s elegant 1866 hexagonal box, to the rectangular sheet steel designs of 1968, and the Olympic gold boxes – means we don’t have one criteria for listing boxes, but a number listed are based on their rarity, age, intactness, location near listed buildings (like the Cambridge Penfold box above) and design quality. The newly-strengthened policy is an assurance that all boxes – whether listed or not – will remain in their original location where possible, and be regularly repaired and conserved by Royal Mail. A more detailed history can be found on the British Postal Museum and Archive website – our banner image, by Martin Deutsch, shows the museum’s ‘pillar box alley’. For information on other types of street furniture that we consider for assessment, from street lighting to sign posts, read our Selection Guide. I have of course have noticed the post boxes about, and have noted some of the variations of style. Now I certainly understand the inscriptions better and will now pay a bit more attention to them as well as having a bit of trivia to share with others. Lovely job EH!. Well done. And the first one on mainland Britain was here in Carlisle cumbria! At Cheshunt, Herts the central pillar box is rectangular and painted gold in honour of Laura Trott. I have seen the traditional British letter box as far away as Northern Cyprus, now painted yellow, of course! I think they have them at Akritiri as well on the south of the island. They have British pillar boxes in Portugal too. And there is one in Lucerne, a gift from the people of Bournemouth as they are twinned with Lucerne. I have just received a letter from Royal Mail to say as an exception post boxes in Appleby in Westmorland are to be repainted following a request from our Chamber of Trade. I live in Pietermaritzburg in South Africa …you may be interested to know that a rare Edward V11 Post box still stands in the city today. Pleased someone is taking our heritage seriously, in the blink of an eye, it could all be gone, if good people did nothing about it! 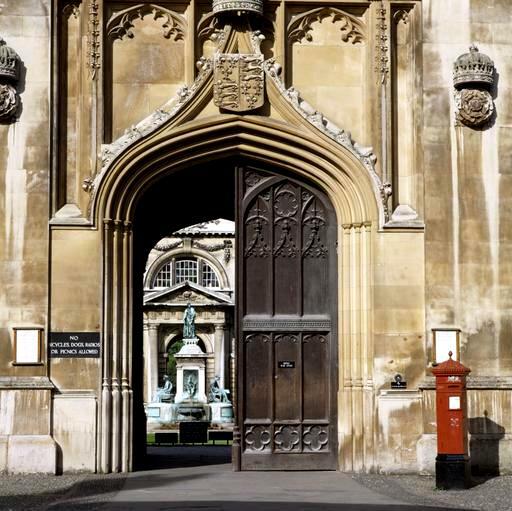 The letter box, as British as a nice cup of tea or ‘walking the dog’, an interesting brief summary of its history.